St. Thomas Aquinas, the 13th-century Dominican friar and theologian who formalised the "Five Ways" intended to demonstrate God's existence. the argument from final causality ("teleological argument"). Aquinas expands the first of these – God as the "unmoved mover" – in his Summa Contra Gentiles. Aquinas did not think the finite human mind could know what God is directly, therefore God's existence is not self-evident to us. So instead the proposition God exists must be "demonstrated" from God's effects, which are more known to us. By the end of each argument, Aquinas' concept of God has only minimal content which he fleshes out through the rest of the Summa theologiae. For example, the general question of whether "God" has a body or is composed of matter is answered in question three, immediately following the Five Ways. However, Aquinas did not hold that what could be demonstrated philosophically (i.e. as general revelation) would necessarily provide any of the vital details revealed in Christ and through the Church (i.e. as special revelation), quite the reverse. For example, while he would allow that in all creatures there is found the trace of the Trinity yet a trace shows that someone has passed by but not who it is. All five ways are generally considered to be cosmological arguments. Aquinas omitted various arguments he believed to be insufficient or unsuited, such as the ontological argument made by St. Anselm of Canterbury. A summary version of the Five Ways is given in the Summa theologiae The Summa uses the form of scholastic disputation (i.e. a literary form based on a lecturing method: a question is raised, then the most serious objections are summarized, then a correct answer is provided in that context, then the objections are answered), and the Five Ways follow Medieval Theories of Demonstration. A subsequent, more detailed, treatment of the Five Ways can be found in the Summa contra gentiles. Aquinas further elaborated each of the Five Ways in more detail in passing in multiple books. The first two Ways relate to causation. When Aquinas argues that a causal chain cannot be infinitely long, he does not have in mind a chain where each element is a prior event that causes the next event; in other words, he is not arguing for a first event in a sequence. Rather, his argument is that a chain of concurrent or simultaneous effects must be rooted ultimately in a cause capable of generating these effects, and hence for a cause that is first in the hierarchical sense, not the temporal sense. An accidental series of causes is one in which the earlier causes need no longer exist in order for the series to continue. ... An essential series of causes is one in which the first, and every intermediate member of the series, must continue to exist in order for the causal series to continue as such. This is also why Aquinas rejected that reason can prove the universe must have had a beginning in time; for all he knows and can demonstrate the universe could have been 'created from eternity' by the eternal God. He accepts the biblical doctrine of creation as a truth of faith, not reason. For a discussion of a causal chain argument that is based on a created beginning, see Kalam cosmological argument. In the world, we can see that at least some things are changing. Whatever is changing is being changed by something else. If that by which it is changing is itself changed, then it too is being changed by something else. But this chain cannot be infinitely long, so there must be something that causes change without itself changing. This everyone understands to be God. Aquinas uses the term "motion" in his argument, but by this he understands any kind of "change", more specifically a transit from potentiality to actuality. Since a potential does not yet exist, it cannot cause itself to exist and can therefore only be brought into existence by something already existing. In the world, we can see that things are caused. But it is not possible for something to be the cause of itself because this would entail that it exists prior to itself, which is a contradiction. If that by which it is caused is itself caused, then it too must have a cause. But this cannot be an infinitely long chain, so, there must be a cause which is not itself caused by anything further. This everyone understands to be God. As in the First Way, the causes Aquinas has in mind are not sequential events, but rather simultaneously existing dependency relationships: Aristotle's efficient cause. For example, plant growth depends on sunlight, which depends on gravity, which depends on mass. Aquinas is not arguing for a cause that is first in a sequence, but rather first in a hierarchy: a principal cause, rather than a derivative cause. In the world we see things that are possible to be and possible not to be. In other words, perishable things. But if everything were contingent and thus capable of going out of existence, then, given infinite time, this possibility would be realized and nothing would exist now. But things clearly do exist now. Therefore, there must be something that is imperishable: a necessary being. This everyone understands to be God. The argument begins with the observation that things around us come into and go out of existence: animals die, buildings are destroyed, etc. But if everything were like this, then, at some time nothing would exist. Some interpreters read Aquinas to mean that assuming an infinite past, all possibilities would be realized and everything would go out of existence. Since this is clearly not the case, then there must be at least one thing that does not have the possibility of going out of existence. However, this explanation seems to involve the fallacy of composition (quantifier shift). Moreover, it does not seem to be in keeping with Aquinas' principle that, among natural things, the destruction of one thing is always the generation of another. Alternatively, one could read Aquinas to be arguing as follows: if there is eternal change, so that things are eternally being generated and corrupted, and since an eternal effect requires an eternal cause (just as a necessary conclusion requires necessary premises), then there must exist an eternal agent which can account for the eternity of generation and corruption. To hold the alternative, namely that an infinite series of contingent causes would be able to explain eternal generation and corruption would posit a circular argument: Why is there eternal generation and corruption? Because there is an eternal series of causes which are being generated and corrupted. And why is there an infinite series of causes which are being generated and corrupted? Because there is eternal generation and corruption. Since such an explanation is not acceptable, there must be (at least one) eternal and necessary being. We see things in the world that vary in degrees of goodness, truth, nobility, etc. For example, sick animals and healthy animals, and well-drawn circles as well as poorly drawn ones. But judging something as being "more" or "less" implies some standard against which it is being judged. Therefore, there is something which is goodness itself, and this everyone understands to be God. The argument is rooted in Aristotle and Plato but its developed form is found in Anselm's Monologion. Although the argument has Platonic influences, Aquinas was not a Platonist and did not believe in the Theory of Forms. Rather, he is arguing that things that only have partial or flawed existence indicate that they are not their own sources of existence, and so must rely on something else as the source of their existence. The argument makes use of the theory of transcendentals: properties of existence. For example, "true" presents an aspect of existence, as any existent thing will be "true" insofar as it is true that it exists. Or "one," insofar as any existent thing will be (at least) "one thing." We see various non-intelligent objects in the world behaving in regular ways. This cannot be due to chance since then they would not behave with predictable results. So their behavior must be set. But it cannot be set by themselves since they are non-intelligent and have no notion of how to set behavior. Therefore, their behavior must be set by something else, and by implication something that must be intelligent. This everyone understands to be God. This is also known as the Teleological Argument. However, it is not a "Cosmic Watchmaker" argument from design (see below). Instead, as the 1920 Dominican translation puts it, The fifth way is taken from the governance of the world. The Fifth Way uses Aristotle's final cause. Aristotle argued that a complete explanation of an object will involve knowledge of how it came to be (efficient cause), what material it consists of (material cause), how that material is structured (formal cause), and the specific behaviors associated with the type of thing it is (final cause). The concept of final causes involves the concept of dispositions or "ends": a specific goal or aim towards which something strives. For example, acorns regularly develop into oak trees but never into sea lions. The oak tree is the "end" towards which the acorn "points," its disposition, even if it fails to achieve maturity. The aims and goals of intelligent beings is easily explained by the fact that they consciously set those goals for themselves. The implication is that if something has a goal or end towards which it strives, it is either because it is intelligent or because something intelligent is guiding it. It must be emphasized that this argument is distinct from the design argument associated with William Paley and the Intelligent Design movement. The latter implicitly argue that objects in the world do not have inherent dispositions or ends, but, like Paley's watch, will not naturally have a purpose unless forced to do some outside agency. The latter also focus on complexity and interworking parts as the effect needing explanation, whereas the Fifth Way takes as its starting point any regularity. (E.g., that an eye has a complicated function therefore a design therefore a designer) but an argument from final cause (e.g., that the pattern that things exist with a purpose itself allows us to recursively arrive at God as the ultimate source of purpose without being constrained by any external purpose). Many scholars and commenters caution in treating the Five Ways as if they were modern logical proofs. This is not to say that examining them in that light is not academically interesting. Purpose: The purpose of the Summa theologica is to help Dominicans not enrolled in the university prepare for their priestly duties of preaching and hearing confessions by systematizing Catholic truth utilizing mainly Aristotelean tools. Precis: Aquinas subsequently revisited the various arguments of the Five Ways in much greater detail. The simple list in the Summa theologica is not written to be clear (to a 21st Century reader) and complete, and should be considered a sketch or summary of the idea, suitable for presentation in a lecture or a quick browse. Via Negativa: Aquinas held that we are unable to apprehend (the Divine substance) by knowing what it is. Yet we are able to have some knowledge of it by knowing what it is not. (SCG I.14) Consequently, to understand the Five Ways as Aquinas understood them we must interpret them as Negative theology that list what God is not (i.e. not a moved mover, not a caused causer, etc.) It invites logical fallacy to use the statements as positive definitions rather than negative exclusions. Name: Each Way concludes not with "It is proven" or "therefore God exists" etc., but with a formulation that "this everyone understands as God" or "to which everyone gives the name of God" or "this all men speak of as God" or "this being we call God" etc. In other words, the Five Ways do not attempt to prove God exists, they attempt to demonstrate what we call God, which is a subtly different thing. Some commentators go as far as saying that He did not write them as demonstrations of God’s existence but arguments for something we already accept. 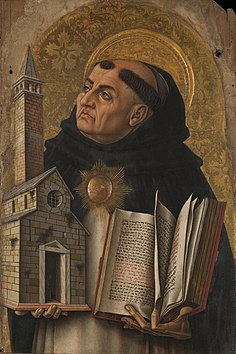 Further Treatments: In the Question of the Summa theologica: in Article I, Aquinas finds that the existence of God is not self-evident to humans. In Article II, he says that the approach of demonstration a postiori can be used to go trace back to assert the a priori existence of God. Article III (i.e., the Five Ways) is a summary or application of this approach, but not intended to be complete or exhaustive. Fuller arguments are taken up in later sections of the Summa theologiae, and other publications. For example, in the Summa contra gentiles SCG I, 13, 30, he clarifies that his arguments do not assume or presuppose that there was a first moment in time. A commentator even notes that Thomas does not think that God could be first in a temporal sense (rather than ontological sense) because God exists outside of time. 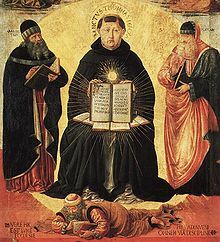 Terminology: In the Summa theologiciae presentation, Aquinas deliberately switched from using the term demonstrabile (a logical or mathematical proof) to using probile (an argument or test or proving ground). A more accurate translation would be "The existence of God can be argued for in five ways." That he deliberately switched terms away from a term used for proof indicates a signal of an intent or nuance. Criticism of the cosmological argument, and hence the first three Ways, emerged in the 18th century by the philosophers David Hume and Immanuel Kant. Kant argued that our minds give structure to the raw materials of reality and that the world is therefore divided into the phenomenal world (the world we experience and know), and the noumenal world (the world as it is "in itself," which we can never know). Since the cosmological arguments reason from what we experience, and hence the phenomenal world, to an inferred cause, and hence the noumenal world, since the noumenal world lies beyond our knowledge we can never know what's there. Kant also argued that the concept of a necessary being is incoherent, and that the cosmological argument presupposes its coherence, and hence the arguments fail. Hume argued that since we can conceive of causes and effects as separate, there is no necessary connection between them and therefore we cannot necessarily reason from an observed effect to an inferred cause. Hume also argued that explaining the causes of individual elements explains everything, and therefore there is no need for a cause of the whole of reality. The 20th-century philosopher of religion Richard Swinburne argued in his book, Simplicity as Evidence of Truth, that these arguments are only strong when collected together, and that individually each of them is weak. The 20th-century Catholic priest and philosopher Frederick Copleston devoted much of his work to a modern explication and expansion of Aquinas' arguments. More recently the prominent Thomistic philosopher Edward Feser has argued in his book Aquinas: A Beginner’s Guide that Dawkins, Hume, Kant, and most modern philosophers do not have a correct understanding of Aquinas at all; that the arguments are often difficult to translate into modern terms. Biologist Richard Dawkins book The God Delusion argues against the Five Ways. In Why there almost certainly is a God: Doubting Dawkins, philosopher Keith Ward claims that Richard Dawkins mis-stated the five ways, and thus responds with a straw man. For example, for the fifth Way, Dawkins places it in the same position for his criticism as the Watchmaker analogy- when in fact, according to Ward, they are vastly different arguments. Ward defended the utility of the five ways (for instance, on the fourth argument he states that all possible smells must pre-exist in the mind of God, but that God, being by his nature non-physical, does not himself stink) whilst pointing out that they only constitute a proof of God if one first begins with a proposition that the universe can be rationally understood. Nevertheless, he argues that they are useful in allowing us to understand what God will be like given this initial presupposition. Not knowing the scholastic distinction between primary and secondary causality, for instance, [Dawkins] imagined that Thomas's talk of a "first cause" referred to the initial temporal causal agency in a continuous temporal series of discrete causes. He thought that Thomas's logic requires the universe to have had a temporal beginning, which Thomas explicitly and repeatedly made clear is not the case. He anachronistically mistook Thomas's argument from universal natural teleology for an argument from apparent "Intelligent Design" in nature. He thought Thomas's proof from universal "motion" concerned only physical movement in space, "local motion," rather than the ontological movement from potency to act. He mistook Thomas's argument from degrees of transcendental perfection for an argument from degrees of quantitative magnitude, which by definition have no perfect sum. (Admittedly, those last two are a bit difficult for modern persons, but he might have asked all the same.)" ^ a b c "Contra Gentiles I.13". ^ "ST I, Q 4-26". ^ "ST I, Q 45-7". ^ a b Floyd, Shawn. "Aquinas: Philosophical Theology 2.b." Internet Encyclopedia of Philosophy. ISSN 2161-0002. ^ a b "Infinite Causal Regress and the Secunda Via in the Thought of Thomas Aquinas". ^ Williams, Thomas (2016). "John Duns Scotus 2.2". The Stanford Encyclopedia of Philosophy. ISSN 1095-5054. ^ a b c d e f Copleston, Frederick (1993). Medieval philosophy : [from Augustine to Duns Scotus] ([Repr.]. ed.). New York [u.a. ]: Image Books, Doubleday. pp. 341–342. ISBN 038546844X. ^ Sachs, Joe. "Aristotle: Motion and its Place in Nature". Internet Encyclopedia of Philosophy. ISSN 2161-0002. ^ Feser, Edward (2015). "Cross on Scotus on causal series". ^ Commentary on De Anima, Bk. 2, lect. 1, n.16. ^ Williams, Thomas (2016). "Saint Anselm 2.2". Internet Encyclopedia of Philosophy. ISSN 2161-0002. ^ Feser, Edward (2009). Aquinas : a beginner's guide. Oxford: Oneworld. pp. 99–109. ISBN 9781851686902. ^ Goris, Wouter; Aertsen, Jan (2013). "Medieval Theories of the Transcendentals". The Stanford Encyclopedia of Philosophy. ISSN 1095-5054. ^ Falcon, Andrea (2015). "Aristotle on Causality 2". The Stanford Encyclopedia of Philosophy. ISSN 1095-5054. ^ a b c Feser, Edward (2009). Aquinas : a beginner's guide. Oxford: Oneworld. pp. 110–120. ISBN 9781851686902. ^ James, Aaron B. (2014). Analogous Uses of Language, Eucharistic Identity, and the 'Baptist' Vision. Lightning Source. ISBN 978-1-84227-8024. ^ Reichenbach, Bruce (2013). "Cosmological Argument". The Stanford Encyclopedia of Philosophy. ISSN 1095-5054. ^ Rohlf, Michael (2016). "Immanuel Kant 3". The Stanford Encyclopedia of Philosophy. ISSN 1095-5054. ^ Koons, Robert. "Critique of the Cosmological Argument: Kant". ^ Reichenbach, Bruce (2013). "Cosmological Argument 3.5". The Stanford Encyclopedia of Philosophy. ISSN 1095-5054. ^ Reichenbach, Bruce (2013). "Cosmological Argument 3.4". The Stanford Encyclopedia of Philosophy. ISSN 1095-5054. ^ Hume, David. "Dialogues Concerning Natural Religion". Archived from the original on 2005-11-22. ^ Reichenbach, Bruce (2013). "Cosmological Argument 3.3". The Stanford Encyclopedia of Philosophy. ISSN 1095-5054. ^ Swinburne, Richard (1997). Simplicity as Evidence of Truth. Milwaukee: Marquette University Press. ISBN 0-87462-164-X. ^ Feser, Edward (2009). Aquinas: A Beginner’s Guide. Oxford: Oneworld. ISBN 1-85168-690-8. ^ Ward, Keith (2008). Why there almost certainly is a God: Doubting Dawkins. Oxford: Lion Hudson. ISBN 978-0-7459-5330-4. ^ a b Hart, David (2013). The Experience of God: Being, Consciousness, Bliss. New Haven: Yale University Press. pp. 21–22. ISBN 0-30016-684-2. Kreeft, Peter (1990). A Summa of the Summa: The essential philosophical passages of St. Thomas Aquinas’ Summa Theologica. San Francisco: Ignatius Press. ISBN 0-89870-300-X. External links section of Wikipedia’s Summa Theologica article. This page was last edited on 27 March 2019, at 04:07 (UTC).